Our British Wool Collection features the finest in British craftsmanship. 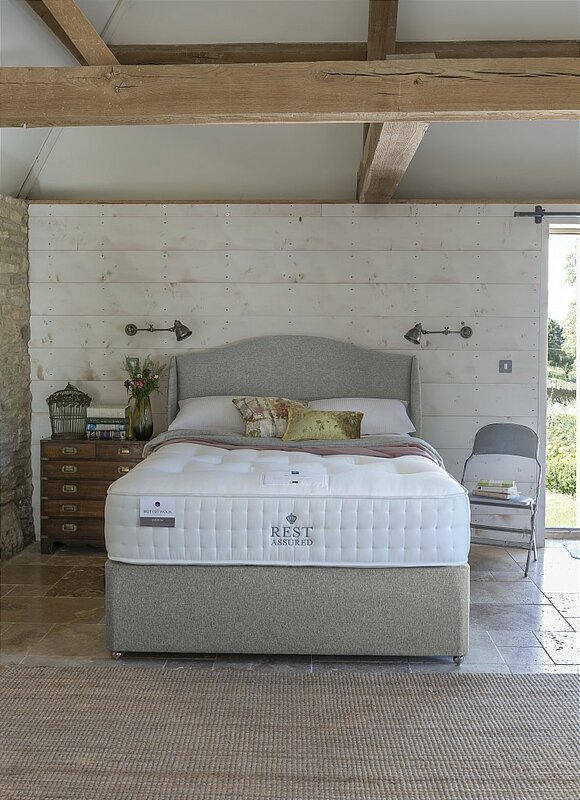 Each divan bed in the collection includes a mattress with 3 different choices of comfort rating: soft, medium and firm to give you truly tailored comfort and personalised support from tip to toe. The mattress itself has been hand layered, hand crafted and even hand tested with the utmost care, attention and passion. Three layers of luxurious wool, including British Cheviot wool specially chosen for its springy and durable nature, sits atop a zoned pocket spring support unit that contours to your individual body shape for superior spinal support. Wool is an excellent comfort layer for mattresses as it adapts perfectly to its environment and has insulating and breathable properties helping to keep you both warm and cool. It is naturally fire retardant and it has the ability to trap dust making it non allergenic. The pocket spring unit is framed in steel to provide edge-to-edge support and - in turn - more sleeping space and less partner disturbance. Beautifully embroidered handles allow for easy turning and rotation. It also comes double-sided and hand tufted for long lasting comfort. All of our beds and mattresses have been rigorously tested for safety and quality to meet the highest British standards in our SATRA and BSI accredited lab. Mattress available in softer, medium or firmer comfort levels. The winged Bennett headboard sweeps all the way to the floor: perfecting an elegant yet study feel that shows how traditional design can be seamlessly transformed with a twist. It comes upholstered and available in six stunning wool effect fabrics with or without storage. Choose from two drawers, four drawers and four drawer continental storage options to maximise your living space. I would like more information about Bennett Divan Bed by Rest Assured.